Scientists have long searched for a durable artificial heart that can work as efficiently as the one supplied by nature. Now Carmat, a company based in Paris, has designed an artificial heart fashioned in part from cow tissue. The device, soon to be tested in patients with heart failure, is regulated by sensors, software and microelectronics. And its power will come from two external, wearable lithiumion batteries. Fifteen years in development, the heart has been approved for clinical trials at cardiac surgery centres in Belgium, Poland, Saudi Arabia and Slovenia, where staff members are receiving training and patients are being screened, said Dr Piet Jansen, medical director at Carmat. In France, where the device is not yet cleared for human implantation, regulators have requested more animal tests, he said. 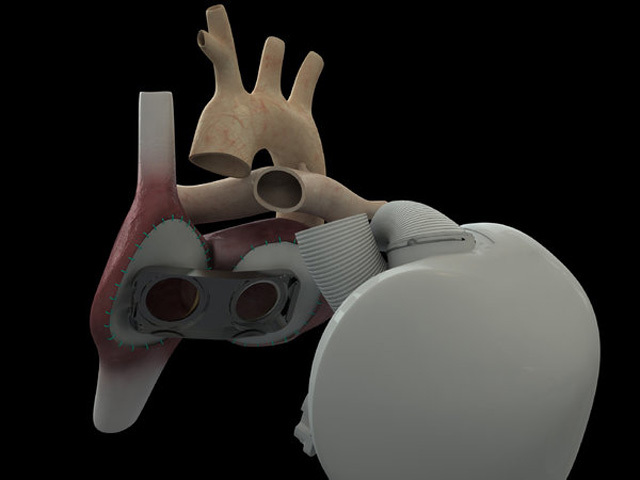 Artificial hearts aren't new, of course, but the Carmat heart is unusual in its design, said Dr Joseph Rogers, an associate professor at Duke University and medical director of its cardiac transplant and mechanical circulatory support programme. Surfaces in the new heart that touch human blood are made from cow tissue instead of artificial materials like plastic that can cause problems like clotting. "The way they've incorporated biological surfaces for any place that contacts blood is a really nice advantage," Dr Rogers said. "If they have this design right, this could be a game changer." He added that it could lessen the need for anticoagulation medicines. This is the first artificial heart to use cow-derived materials — specifically, tissue from the pericardial sac that surrounds the heart. Biological tissue has been used in earlier mechanical blood pumps only in valves, Dr Rogers said. Thousands of people in the US need a replacement heart, said Dr Lynne Warner Stevenson, a professor at Harvard Medical School. "It's estimated that if we had enough donor hearts, 100,000 to 150,000 people in US would benefit," she said, adding, "Transplants work best, but we have only 2,000 or so hearts available each year.